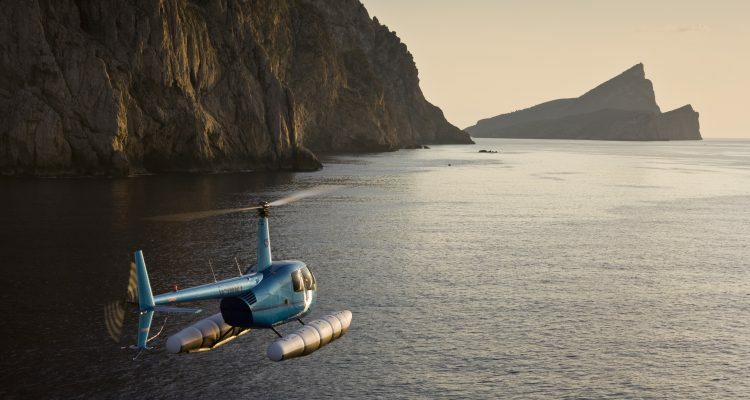 Nigel Watson, the founder of Heli Riviera has partnered with Jonny Greenall, the owner of Balearic Helicopters to launch a new service – HOLA Heli Services, a new training provider for Spain and the Balearics! The sky is the limit for heli-deck training specialists Heli Riviera who have launched the new HOLA training course with Balearic Helicopters in 2018. Cannes based firm Heli Riviera founded in 2000 by Nigel, managed today by Catherine Pardini, is now established as one of the leading helicopter support company to the luxury yachting industry. Balearic Helicopters, was setup by Jonny Greenall who now provides sight-seeing tours and heli-dining experiences and training across the region. 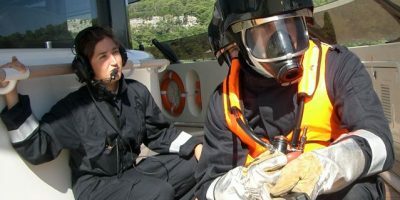 It is culmination of industry knowledge and regional expertise that will provide HOLA with an expanding range of services as well as Marine Coastguard Agency (MCA) accredited courses across Spain and the Balearics. HOLA aims to provide a number of services including hangarage and FBO support for helicopters and aircrew visiting its base at the Son Bonnet Aerodrome in Mallorca. HOLA also offers an outstanding level of knowledge of the industry; courses, manuals and procedures for onboard ‘Helicopter Landing Officers’ and ‘Helideck Assistants’ taught to the highest standard. Heli Riviera’s senior trainer Jonathan Mutch will lead the initial training programmes with his team to deliver the courses. All of the HOLA instructors are in current flying practice on super-yachts in excess of 160m. In addition, each of the lead instructors has 30 years’ of maritime rotary experience behind them, having served in the US, UK and French Navies. Through Heli Riviera, the firm currently trains two-thirds of the world’s largest super-yacht crews how to safely operate helicopters at sea. It is this high quality training and experience that the business wishes to extend to the Spanish market with the creation of HOLA. The courses offered by HOLA will provide a cutting-edge advantage giving yacht crews greater confidence, efficiency and a higher level of safety when dealing with heli-yacht operations. HOLA aims to provide a comprehensive, inclusive and multi-lingual training course which will be available throughout the region. Due to the industry knowledge provided by the HOLA crew, the team is able to help ensure yacht-based aviation needs are safe and compliant. 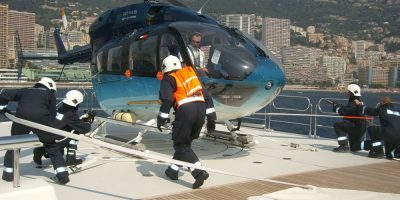 HOLA offers training courses tailored to each clients’ yacht, developing procedures and orchestrating all movements so that the crew can best support a helicopter at sea. HOLA was launched as a direct response to increased demand from helideck crews in the region, who wanted to grasp an understanding of the essential and safe operations of heli-deck operations. Furthermore, Spain as a hub for yachts is growing due to the ease of regulations and tax laws which lends itself to future growth of the market. Could you benefit from MCA accredited training, hangarage or FBO support? Then HOLA could be for you! Developed to adhere to the highest possible training and safety standards, we are able to deliver the highest possible level of customer service.